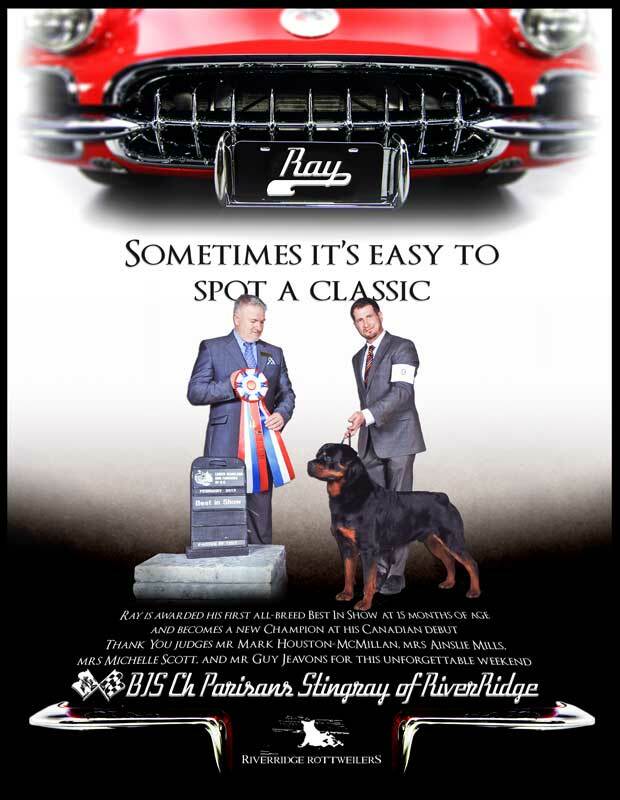 Ray was born of a very special paring of one of Germany’s top producers – M.Ch. 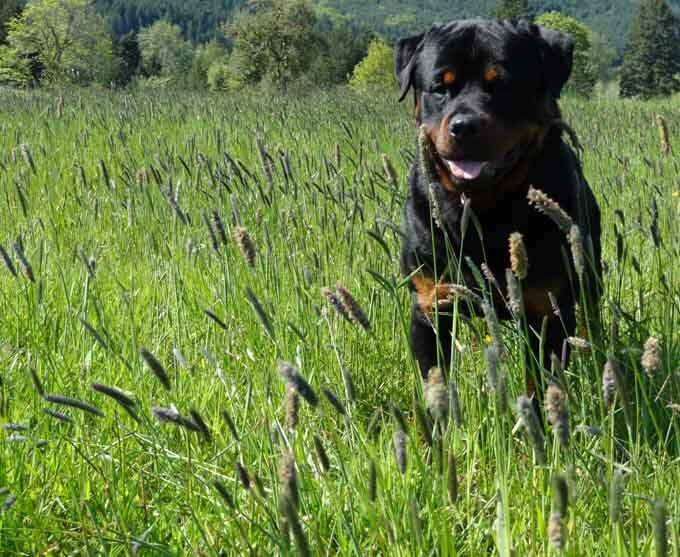 Elvis von der Muhlbachstrasse, with Can.Ch. 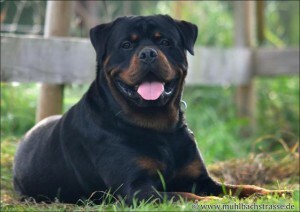 Parisans Coral Sea. 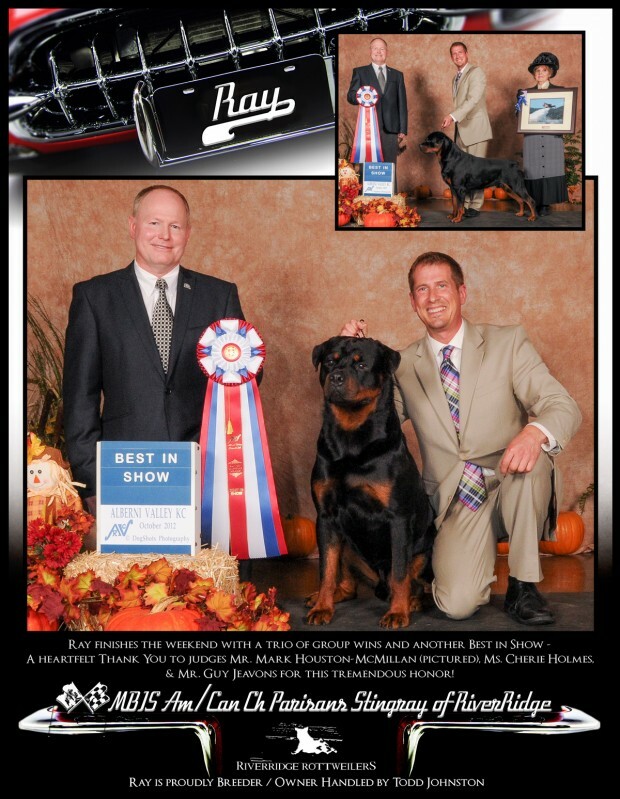 Ray’s beautiful type, balanced proportions, and correct movement have caught they eye of judges and spectators alike, and his early record reflects it. 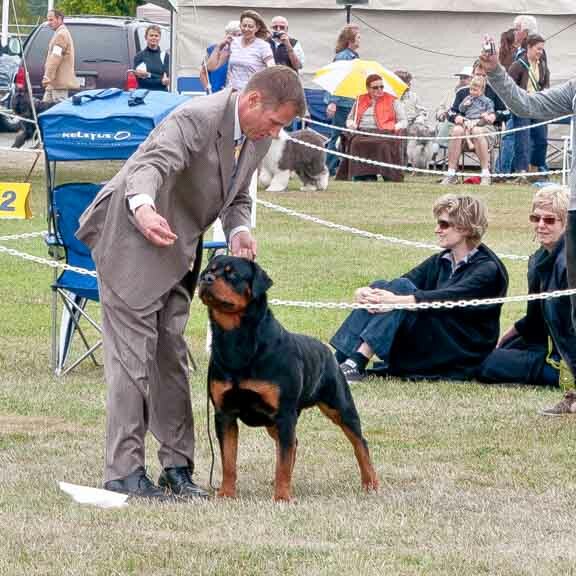 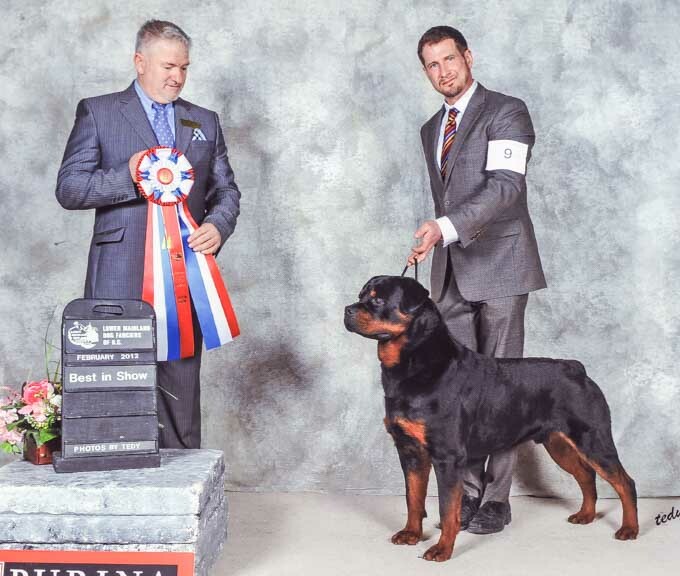 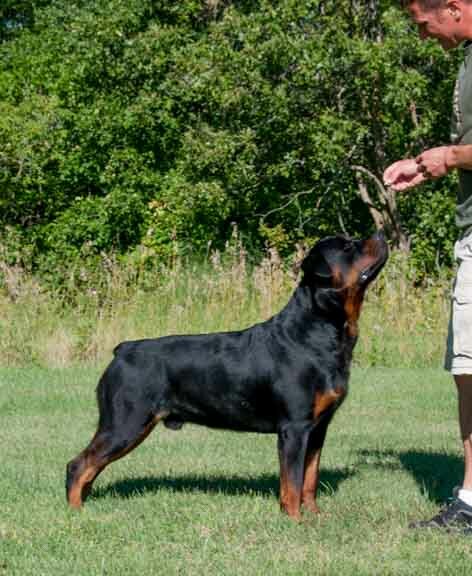 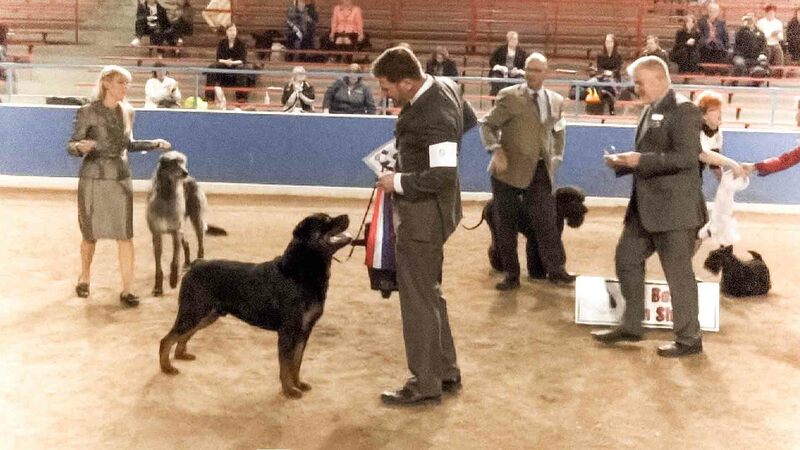 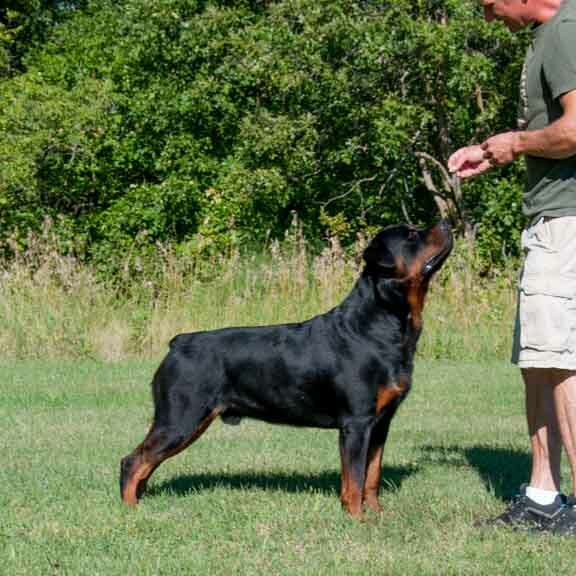 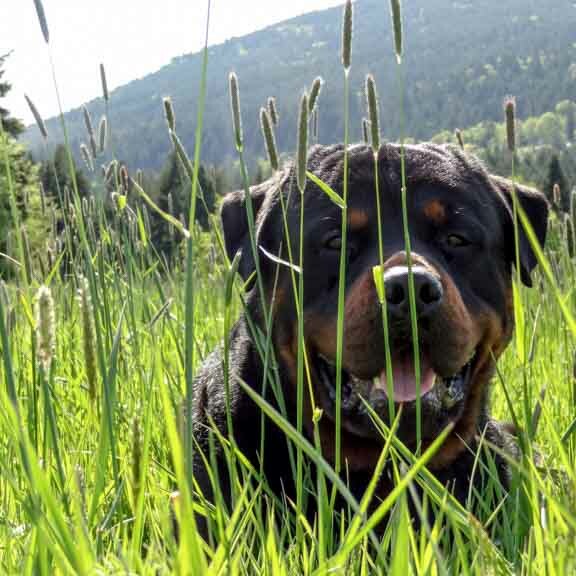 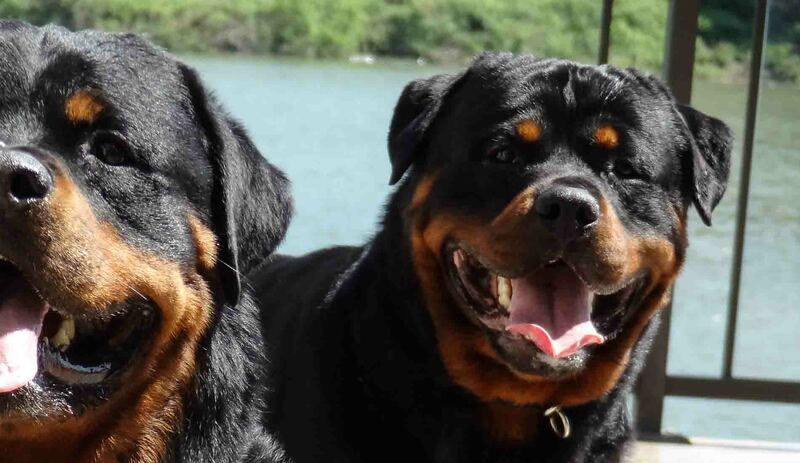 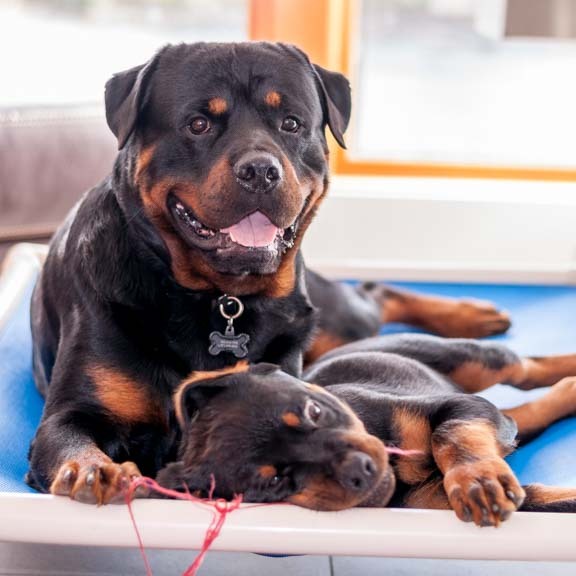 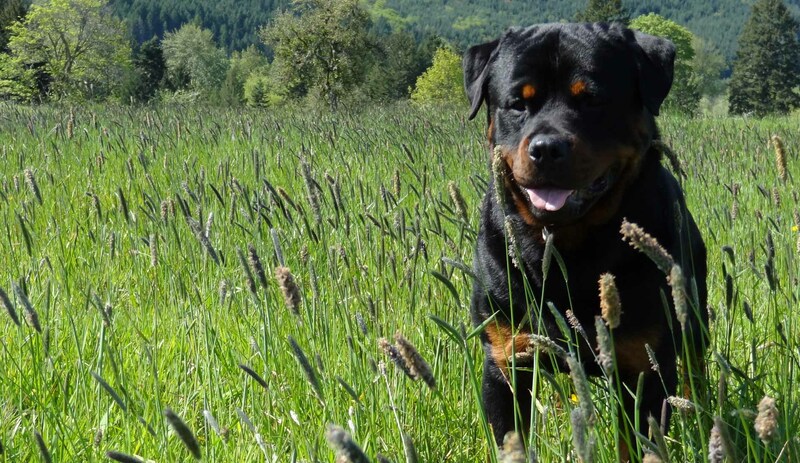 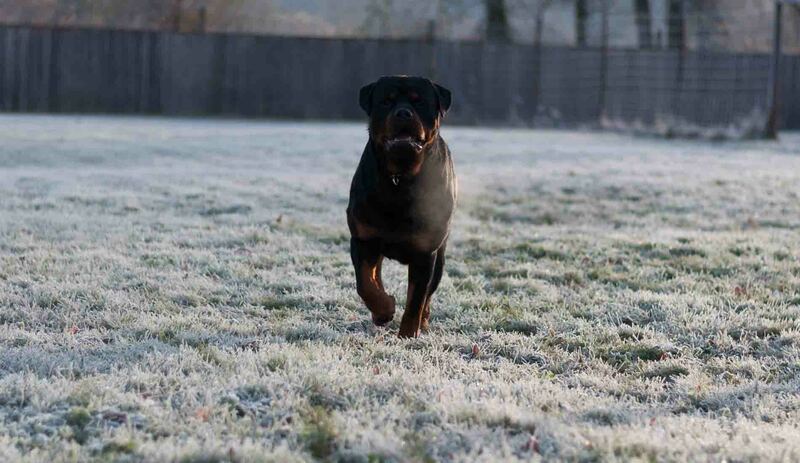 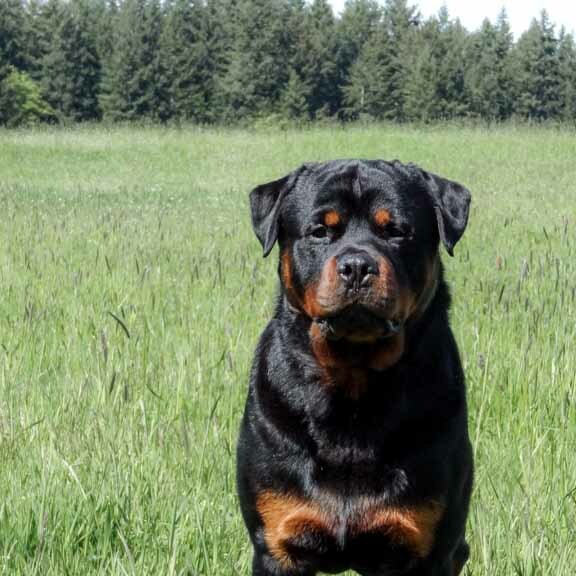 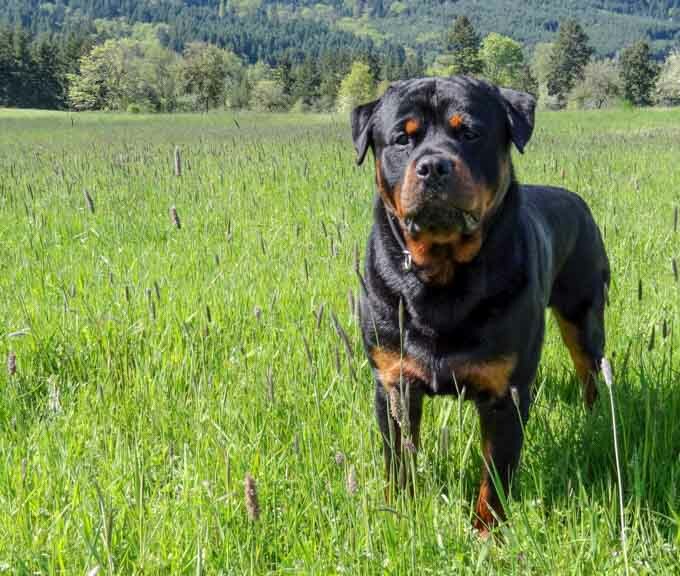 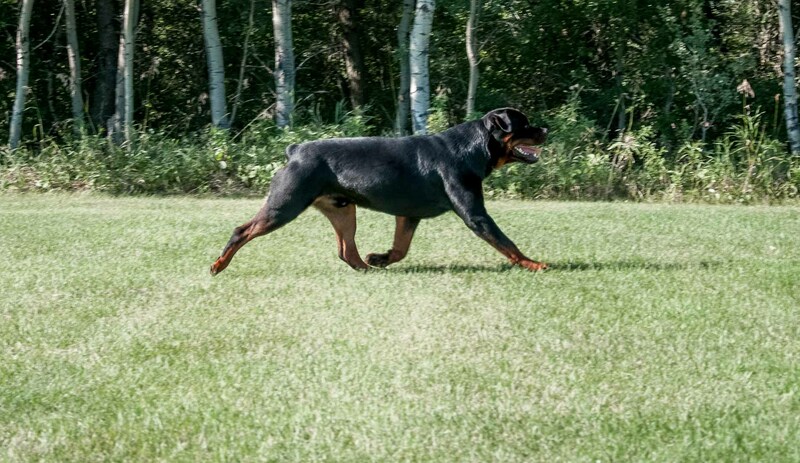 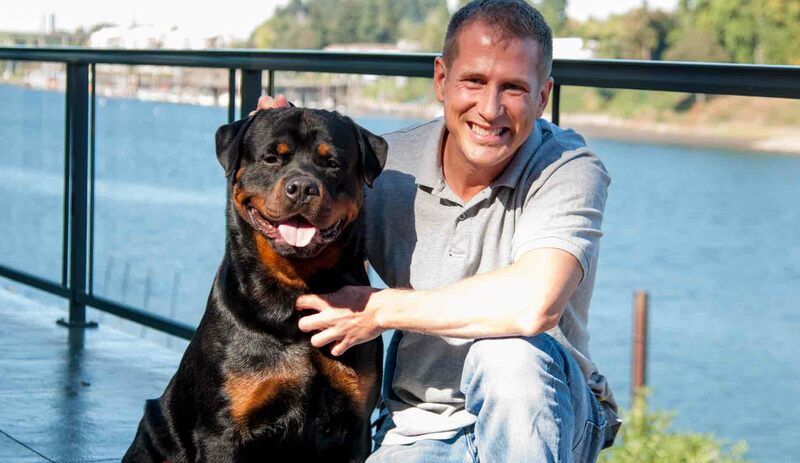 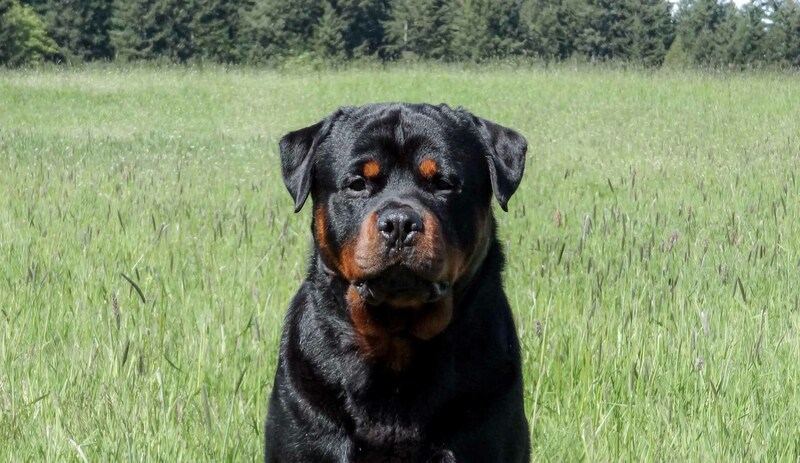 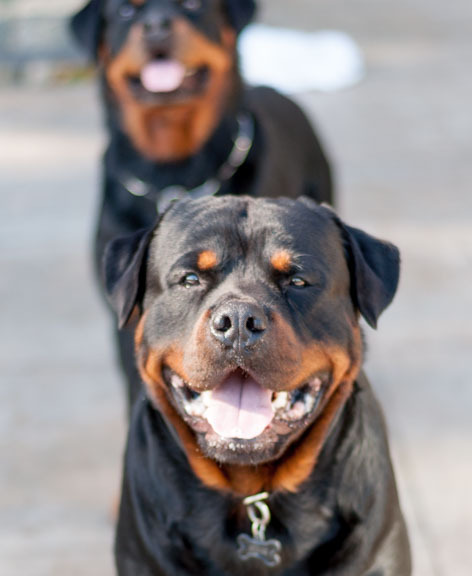 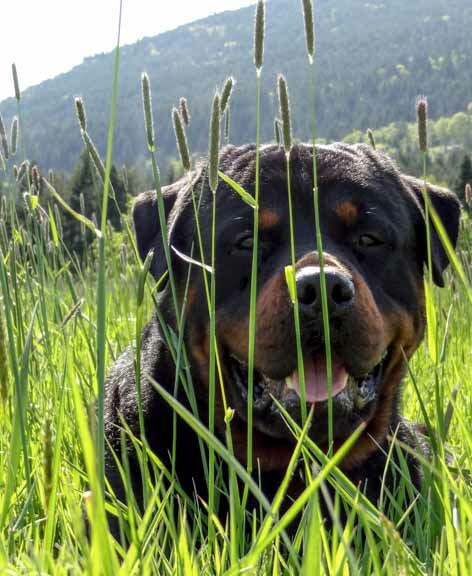 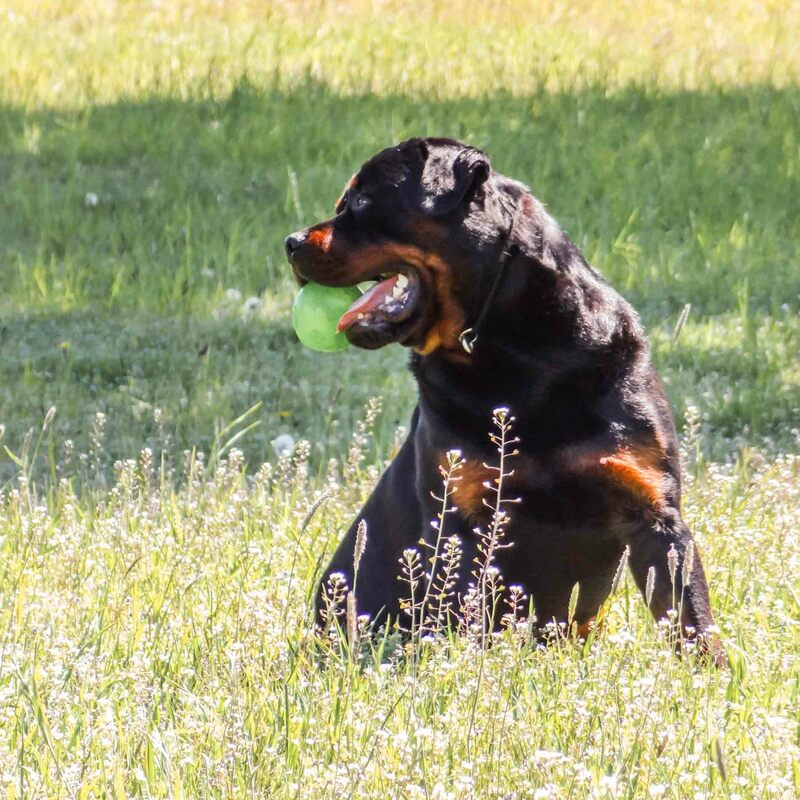 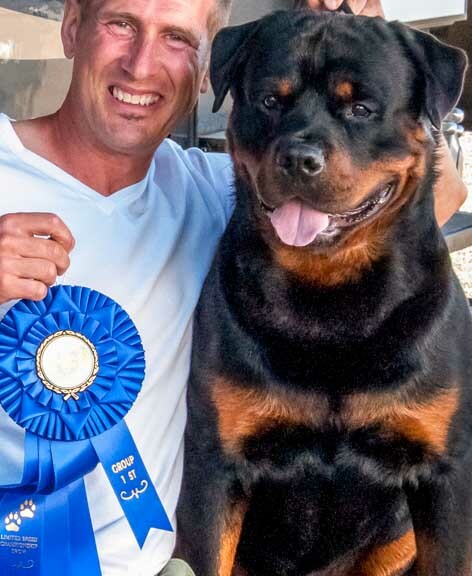 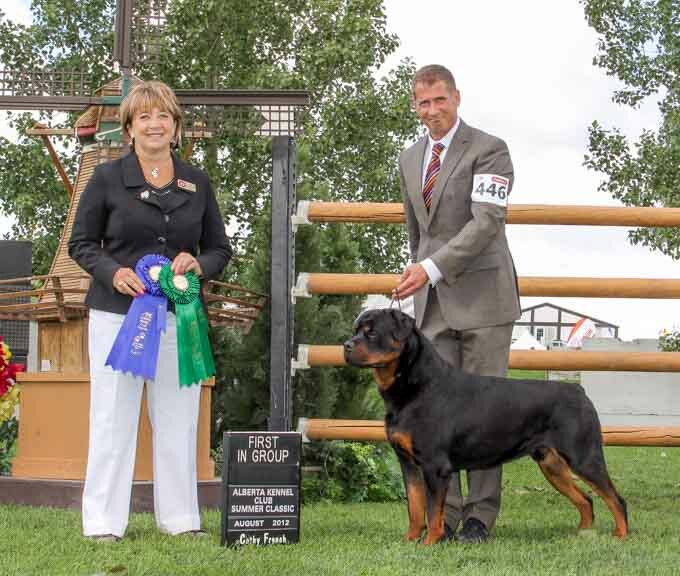 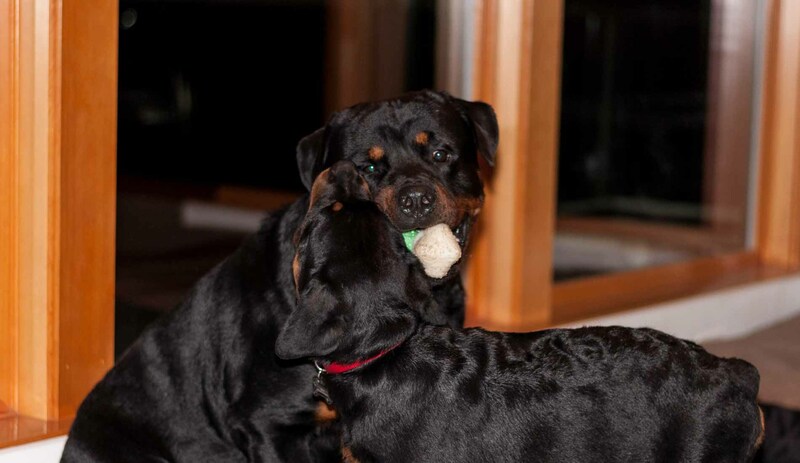 All before two years of age, Ray was awarded two all-breed Best in Shows, numerous group wins, the 2012 RCC National specialty Award of Merit, and has worked his way up to becoming the #1 Rottweiler (breed system) in Canada. 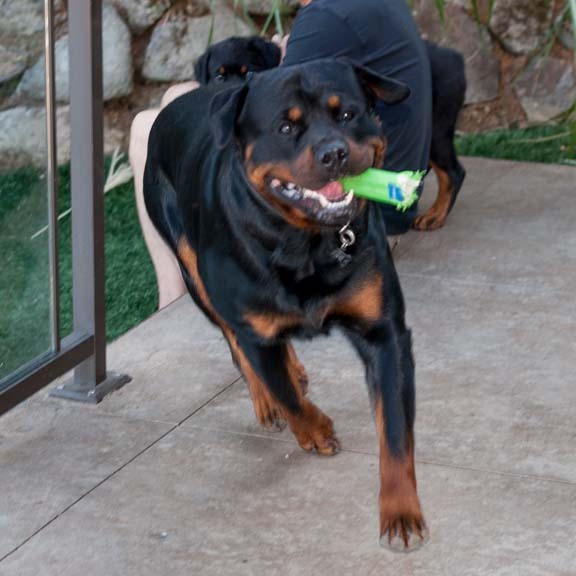 When not on the road, Ray loves to swim in the river, to play fetch for hours and hours, and to roll on his back to get a good belly scratch! 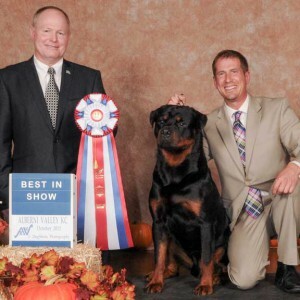 Ray is loved, trained, and shown by breeder/owner Todd Johnston. 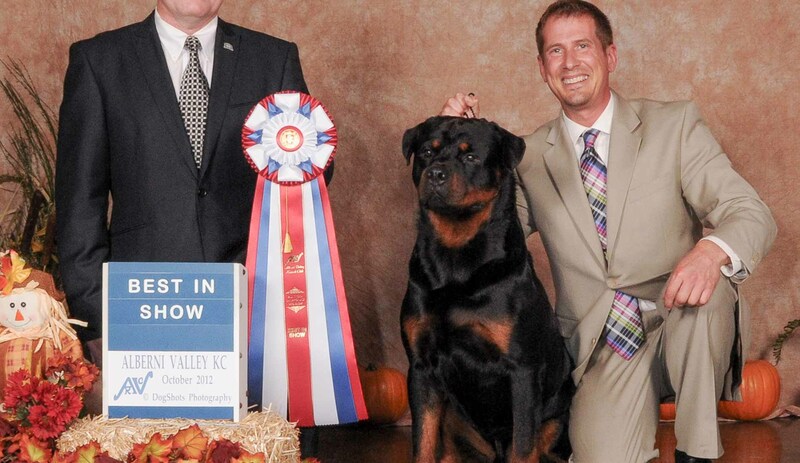 Received 2 Best in show wins, one at 15 months old and again at 23 months. 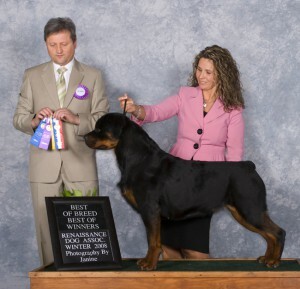 Had over 20 group placements including 8 group wins. 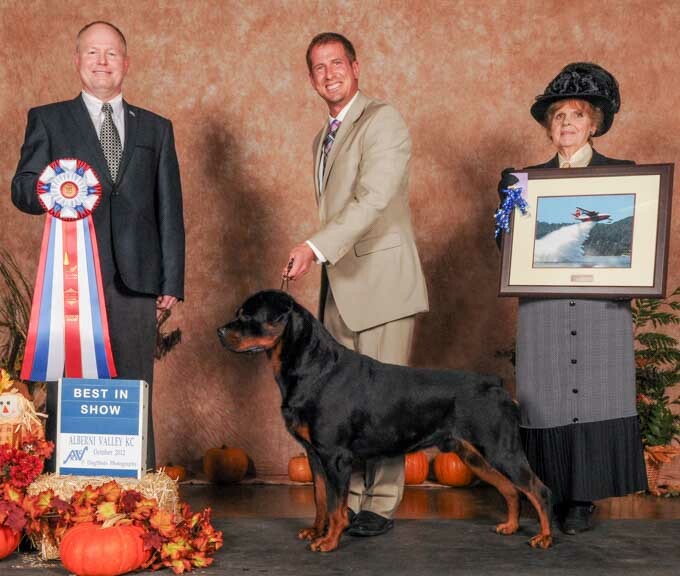 Awarded 2012 RCC Rottweiler National Award of Merit.